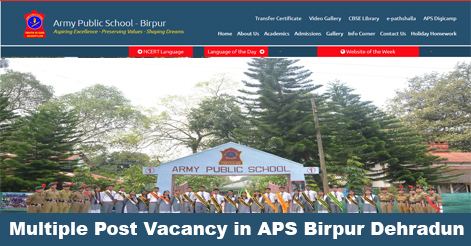 Army Public School Birpur, Dehradun invites applications for filling up Teaching & Non-Teaching Staff. Army Public school released notification for the recruitment of PGT, TGT, PRT, PET & Dance & Music Teacher, Accountant & LDC, Science Lab Attendant, Nurse, Peon, Driver, Plumber, Electrician, and MTS/Gardner/House Keeping Staff post on a contractual basis. Interested candidates may apply on or before 15 Feb 2019. PGT (Physics, Chemistry, English, Political Science, Psychology) 1. Master’s Degree in the subject concerned with min. 50% marks. 3. Preferences will be given to the candidates who have experience of teaching classes XI & XII CBSE Board. TGT (Maths, Science, Social Science, Hindi) 1. Post Graduate/Graduate in a concerned subject min. 50% marks. 3. CSB Card Holder and CTET qualified will be preferred and those who have experience of teaching classes I to V CBSE Board. PET & Dance & Music Teacher Graduate in the subject concerned with min. 50% marks. 2. Typing with a minimum speed of 40 WPM and should knowledge of Hindi Typing. 4. Basic Knowledge of Computer. 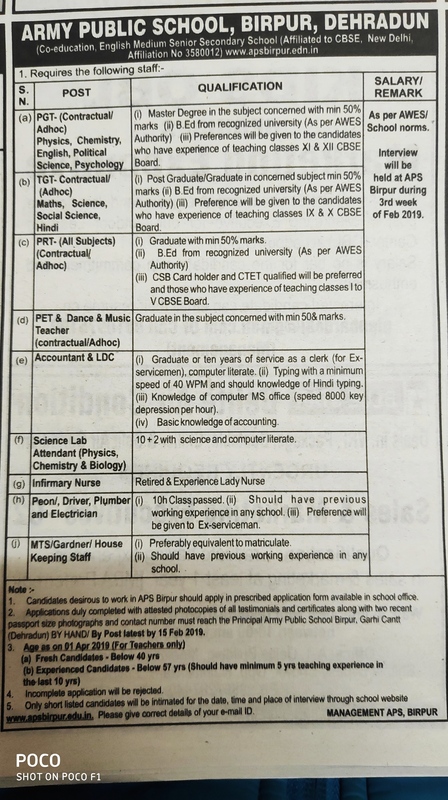 Science Lab Attendant (Physics, Chemistry & Biology) 10+2 with science and computer literate. 2. Should have previous working experience in any school. 3. Preference will be given to Ex-servicemen. MTS/Gardener/ House Keeping Staff 1. Preferably equivalent to matriculate. The selection for the post shall be based on a personal Interview. The interviews will be held at APS Birpur, Dehradun during 3rd Week of February 2019. Only shortlisted candidates will be intimated for the date, time and place of interview through school website www.apsbirpur.edu.in. Candidates desirous to work in APS Birpur should apply in a prescribed application form available in the school office. Applications duly completed with attested photocopies of all testimonials and certificates along with two recent passport size photographs and contact number must reach the Principal Army Public School Birpur, Garhi Cantt (Dehradun) by Hand/By Post latest by 15 February 2019. Help us to improve this article/job posting "Teaching & Non-Teaching Staff Recruitment in Army Public School, Birpur Dehradun". We would be glad if you can comment below and provide your valuable suggestions and feedback. If this page have any wrong information/list or out of context content, then you can report us as well. 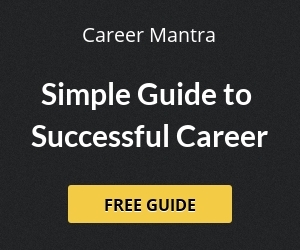 Hello Shubham, u will get the application form from the school office. Hello sir, I am post graduate from botany and right now I am working in NGO on education and I am also pursing B.ed from corresponding currently. Pls sir help me that what is the age limit in lab attendant.and is this post contract basis . sir i have12th pass science stream.and bar. and i have 14th year experience in physics lab astt. i have instrested. this job but sir i know this job is private or army under. Sir.. i completed my graduation in vocal music… and now m doing Master or art in vocal music.. and sangeet prabhakar too..